PERC/CERC Configuration utility from DELL is used to manage the disks on the server and perform several disk related activities. for e.g. Create Logical Volumes with different RAID options, check for the consistency of the disks etc. During the server startup process, there is an option to Launch the PERC/CERC configuration utility. However sometimes it may be required to view the disk information or perform certain disk related operation without having to reboot the server. In this article, I’ll explain how to launch PERC/CERC configuration utility directly from the RedHat Linux. 1. 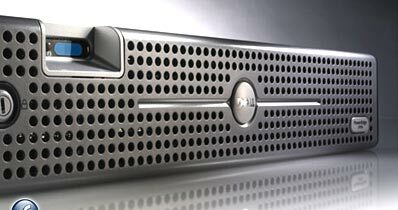 Download the perc-cerc-apps from dell support website. 2. Install the PERC/CERC Configuration Utility. I have tried this on Red Hat AS 4.0 and 5.0 without any issues. You’ll see the following files inside the perc-cerc-apps-6.03-A06.tar.gz. We need only the Dellmgr to install the PERC/CERC utility. 3. Launch the PERC/CERC Configuration Utility from the RedHat Linux. This will display the PERC/CERC Utility as shown below. Help me spread the news about The Geek Stuff. Please leave your comments and feedback regarding this article. If you like this post, I would really appreciate if you can subscribe and spread the word around about “The Geek Stuff” blog by adding it to del.icio.us or Digg through the link below. Exactly what I was looking for to get an old Dell Poweredge 8650 setup and be able to manage a PERC 4 DI from inside RedHat 5.X. Your explanation is wonderful and useful! Yes it did work, Thanks a lot.